It's always exciting when my favorite books are made into movies. Here are some that I am especially excited for. Firelight by Sophie Jordan- I haven't read this book yet, but it's on my TBR shelf and I've heard really good things about it. Obviously, I will read the book before the movie comes out. I don't know much about casting, but I know that Mandalay Pictures picked up the rights. 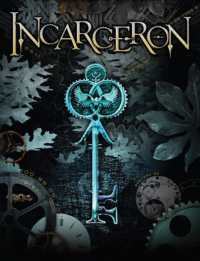 Incarceron by Catherine Fisher- This movie is going to come out in 2013 and Taylor Lautner is in it. (Cue the teenage girls swooning). Wake by Lisa McMann- I haven't read this one yet, but a lot of my students are big fans of this series. I heard that MTV Films has the rights and Miley Cyrus' name has been attached to this film. City of Bones by Cassandra Clare- AHHH! This is one of my favorite series. ever. I can't wait to see it on the big screen. I'm happy that they casted Lily Collins, but I am not so sure about Jamie Campbell Bower as Jace. I only know him from Camelot and he seemed kinda whiny/wimpy, which is pretty much the opposite of Jace. I hope he hits up the gym before production starts. The Hunger Games by Suzanne Collins- My students and I have been so excited for this one. We've been talking about the casting for awhile now. I must admit I was nervous about Josh Hutcherson as Peeta and Liam Hemsworth as Gale, but it's starting to grown on me. One thing I am sure about is Jennifer Lawrence for Katniss; she'll be great! The Maze Runner by James Dashner- I heard this one is going to be made into a movie, but I haven't heard much buzz about it. I LOVED this book and I think it would translate to the big screen wonderfully. I heard it's going to come out in 2013, but I don't know much about the casting. If I Stay by Gayle Forman- This book is one of my favorites and I can't wait for it to be made into a movie. I'm sure I'll be sobbing in the theater. I heard that Dakota Fanning was attached to the role of Mia, but it wasn't definite. Anyone hear anything else about it? The Hobbit by J.R.R. 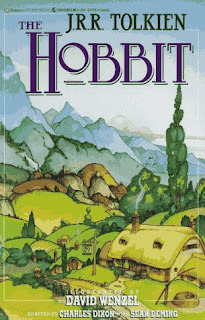 Tolkien- I love The Hobbit and actually taught it last year to 6th grade Honors students. It's so much fun and I am glad that they are FINALLY making a movie version. Martin Freeman is casted as Bilbo and I hear favorites from Lord of the Rings will be making appearances, such as Elijah Wood. Breaking Dawn by Stephanie Meyer- I felt obligated to include this one, even though Breaking Dawn was my LEAST favorite from the series. Vampire baby? No thanks, but if you are fan, I'm sure you know that it comes out in November. Anna Karenina by Leo Tolstoy- I love when they remake classics and Keira Knightley, one of my favorite actresses, is casted as Anna. There's buzz that Jude Law is also in this film. The Great Gatsby by F.Scott Fitzgerald- I am BEYOND excited for this one. I love The Great Gatsby and I think the casting is perfecto. Leonardo DiCaprio is Jay, Carey Mulligan as Daisy Buchanan, Joel Edgerton as Tom Buchanan, Tobey Maguire as Nick Carraway and Isla Fisher as Tom's mistress. I can't wait for this one as they are all great actors. The Three Musketeers by Alexandre Dumas- I love this classic tale and I'd like to see a remake that is exciting and as action packed as the first Pirates of the Caribbean. Matthew MacFayden, Milla Jovovich, and Logan Lerman are in this remake coming out in October. What books that are being made into movies are you most excited about? Did I leave one out? Let me know what you think! I'm excited for the Firelight movie (really like that series) and I really need to read The Hunger Games before the movie releases! I heard that Dakota Fanning is no longer doing If I Stay. I can't wait for each of these. Especially Hunger Games. I hadn't heard of Firelight. wow! There are so many. I may make it a goal to see all of them. Several of these movies must have snuck past my radar so thank you for sharing, Christina. 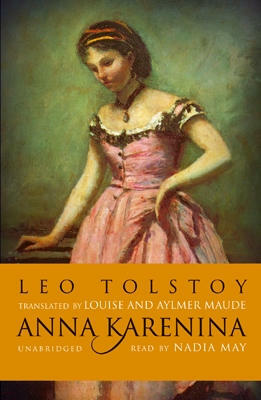 Keira Knightley is a wonderful actress; I'm looking forward to see her in Anna Karenina. I listened to the audiobook last year but had to put it aside when I found out I was pregnant with our baby girl. I sensed that it might be just a little to sad for me when Anna was talking so "positive" about her own pregnancy.. I haven’t watched any of the other Twilight movies except for the first one.. it wasn’t to my liking at all. Breaking Down was my least favorite in the saga as well. I'm going to cry myself dry watching If I Stay! Oh and let me tell you not only teenage girls will be swooning over Taylor Lautner..
Jenny- I need to read Firelight--everyone seems to love it! Completely agree about Jamie as Jace. Thanks for visiting! Leanna- You must read the HG series. SO GOOD! Juju- So excited for HG too! Alexis- I want to see them all too! Mari- You crack me up about Taylor Lautner. Too funny! Thanks for stopping by! Hey! I have another one for you. Saorise Ronan (The Lovely Bones, Atonement) has apparently signed on the dotted line for Stephenie Meye's 'The Host'. I'm really eager to see how that one turns out.